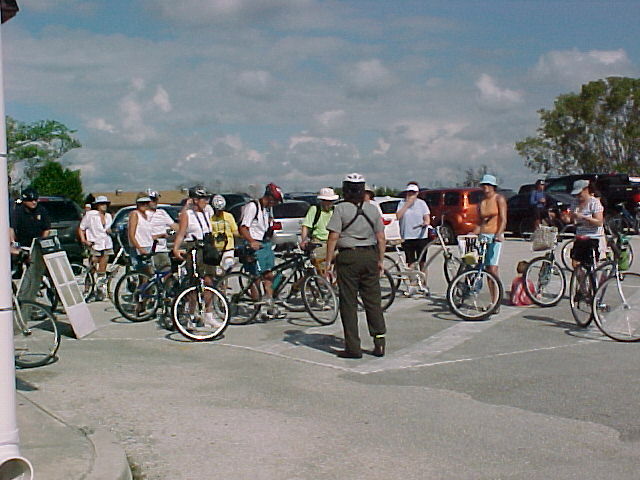 A self-guided bicycle tour is a wonderful way to conduct your own Everglades ecotour. 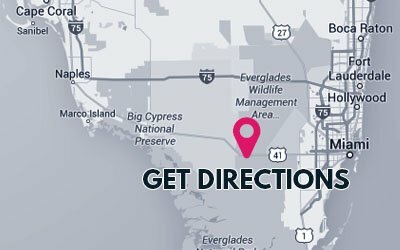 You can get some exercise on our Everglades bike trail while you move at your own chosen speed. The 15-mile paved road is ideal for any type of bicycle, and the road is flat and free of rough terrain. A typical ride takes between 2 and 3 hours, and it usually involves many stops because there’s just so much to see. You can either bring your bicycle or rent one from Shark Valley Tram Tours. Bikes are available on a first-come, first-served basis, and a driver’s license or ID is required to rent bikes. All of our rentals are single-gear, coaster brake models with adjustable seats to accommodate riders of different heights. Baskets and helmets are available for all rental bikes. In addition, we have 20” children’s bikes and bikes with child seats for children of 35 pounds or less. 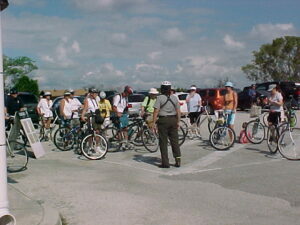 Bicycle rentals for use on the Everglades bike trail at Shark Valley begin at 8:30 AM and continue until 4 PM. All bikes must be returned to the rental office by 5 PM. Always Respect The South Florida Heat. Before you head out on a bike tour, be sure that you’re prepared for the heat, which can become intense out on the Everglades bike trail. Hydrate before you leave, and take plenty of fluids with you, because you won’t encounter any drinking water on the road through the park. Wear a helmet or a hat to keep the sun off your head. Under Florida law, any bicyclist under age 16 must wear a helmet. It is important to maintain a safe distance from all wildlife. Try to stay 10-15 feet away and do not feed or bother any animals. This is their natural home, and if you respect them, they will respect you. Florida is the lightning capital of the United States, and South Florida summers deliver some impressive weather shows. Most of the thunderstorms occur during the mid to late afternoon hours, so the best riding times are in the morning, when it’s still a little cooler. If you choose to rent a bike from Shark Valley Tram Tours you will be asked to sign the Bike Risk Acknowledgement Form before departing the facilities. Bike rental fee is $9 per hour on a first-come, first-served basis.